The Next Intake Starts on 13th-May-2019 in AU & NZ. Secure Your Seat Now! 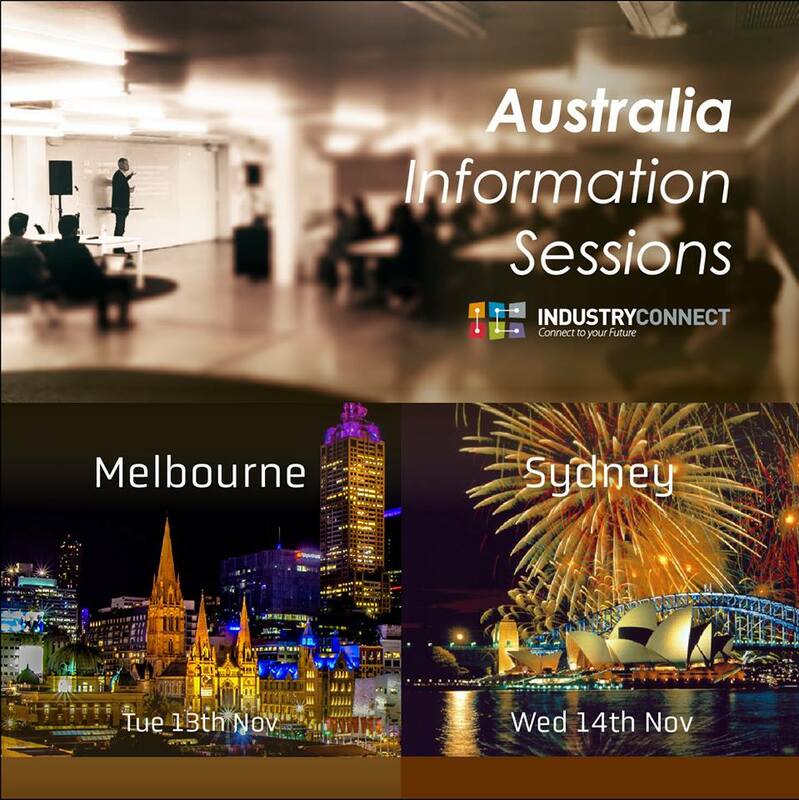 If you’re looking for a job in the IT industry in Australia, then come along to one of our upcoming information nights in Melbourne or Sydney this November, where we will show you how we can help launch your career in the world of IT. We have helped hundreds of people, mainly immigrants, find work in the industry, and now we’ve come to Australia to continue on with our work. If you’re interested in a career in the IT Industry, but can’t seem to get your foot in the door, then Industry Connect is for you! We have helped hundreds of IT graduates and immigrants land jobs in the IT Sector, and we can help you too. Receive free advice about how you can prepare yourself for the industry. Through our programmes and internships, you can get some real-world experience when it comes to the IT industry. This set’s you up to be noticed by potential employers, and get noticed ahead of all the other job seekers out there. Remember, employers want someone who has proven experience, not someone who is wet behind the ears that they will have to train. By joining us you will not only gain invaluable experience, but you’ll also meet people in a similar situation, making new friends and connections. Hundreds of people have walked through our doors and let with job offers from major companies in the Industry, and now we’re taking our business across the Tasman to Australia, and helping people over get a job in the IT Industry. 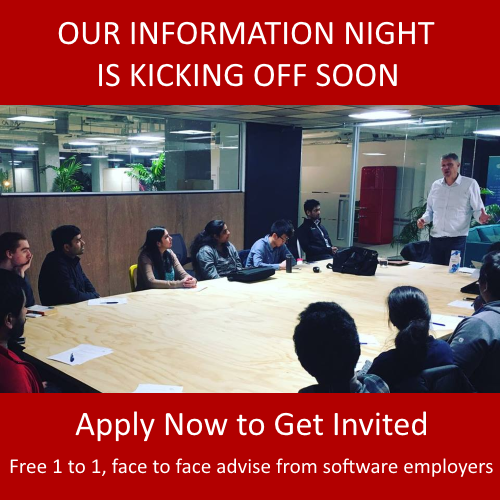 If you’re in Melbourne or Sydney and want to know more, come along to our information nights – what have you got to lose! Hear what they say about their journey of landing a software job.